One of the values CEHS espouses is dedication to excellence. Another is valuing community. 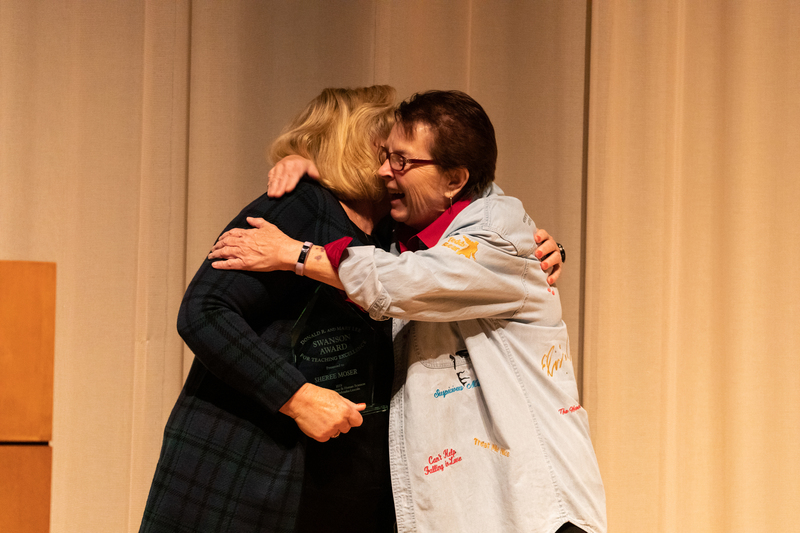 On April 12 CEHS faculty/staff gathered at the Sheldon Museum of Art to salute this year's faculty, staff, and student award recipients in CEHS. Each one is an example of excellence in teaching, research, creative work, engagement, mentoring as well as dedication to supporting the CEHS mission. 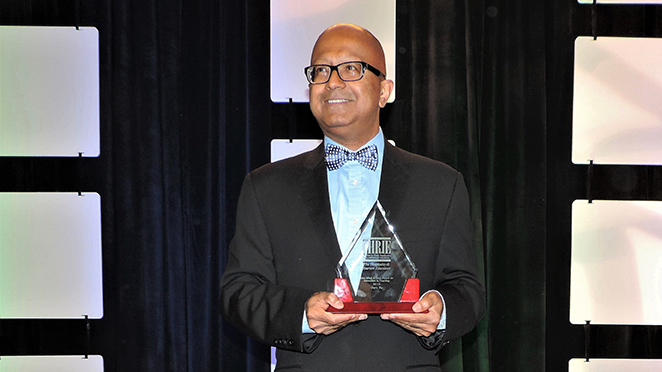 Dipra Jha, Associate Professor of Practice for HRTM, has been awarded the 2019 Outstanding Teaching Achievement Award by the Council on Hotel, Restaurant, and Institutional Education (CHRIE) Central Federation. Kristin Malek, Assistant Professor for HRTM, was awarded 1st place in the Thinkathon Industry Challenge. The topic for the industry challenge was artificial intelligence in hospitality. The awards were presented at the Central CHRIE conference in Indianapolis earlier this month. Students in HRTM work with members, patrons, and staff at the 2019 Masters Tournament. The Masters Tournament at Augusta National Golf Club in Augusta, Georgia is considered by many to be the pinnacle of professional golf. 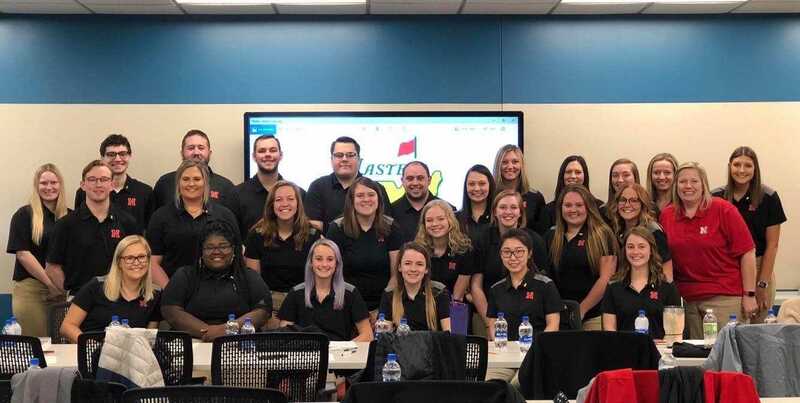 For the fourth year in a row, students and their professor from the University of Nebraska-Lincoln's Hospitality, Restaurant and Tourism Management (HRTM) program will be working with members, patrons, and staff at Augusta National Golf Club for the 2019 Masters Tournament. HRTM Associate Professor of Practice, Dipra Jha recently traveled to India to deliver a keynote at an international seminar on food, hospitality and tourism. 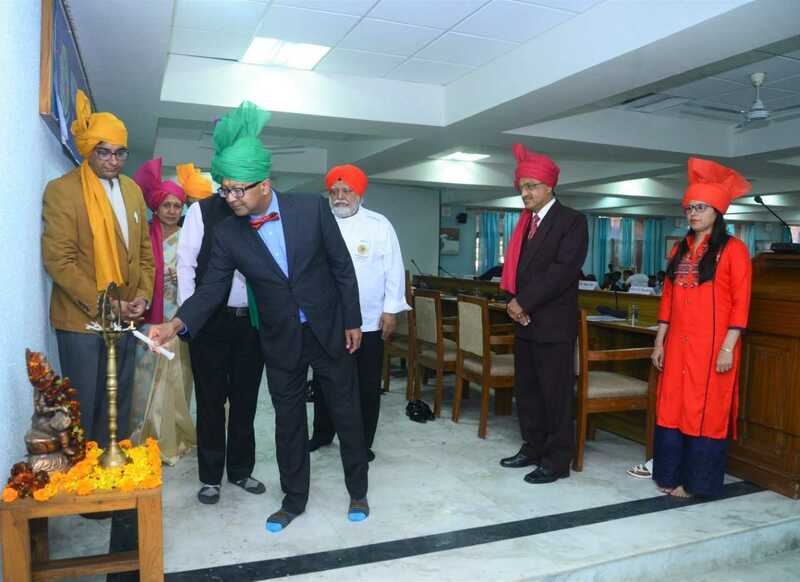 Organized by the Institute of Hotel and Tourism Management at Maharshi Dayanand University in Rohtak, Haryana, the one-day event on March 12th was attended by scholars, industry leaders and students from institutions across India. It was widely covered by local electronic and print media. 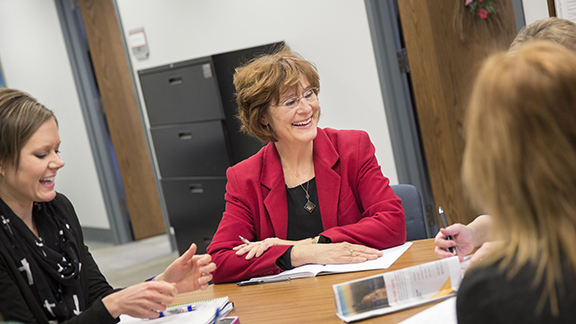 Friends and colleagues are invited to a reception celebrating the retirement of Linda Boeckner, professor and human sciences program leader in the Department of Nutrition and Health Sciences (NHS) and Nebraska Extension. The reception is scheduled for 4 p.m., Aug. 27 in the East Campus Union, Arbor Suites. 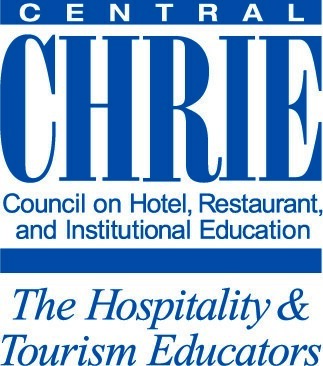 In recognition of his contributions to hospitality education, Dipra Jha, associate professor of practice in Hospitality, Restaurant and Tourism Management, has received the John Wiley & Sons Innovation in Teaching Award from the International Council on Hotel, Restaurant and Institutional Education (ICHRIE). 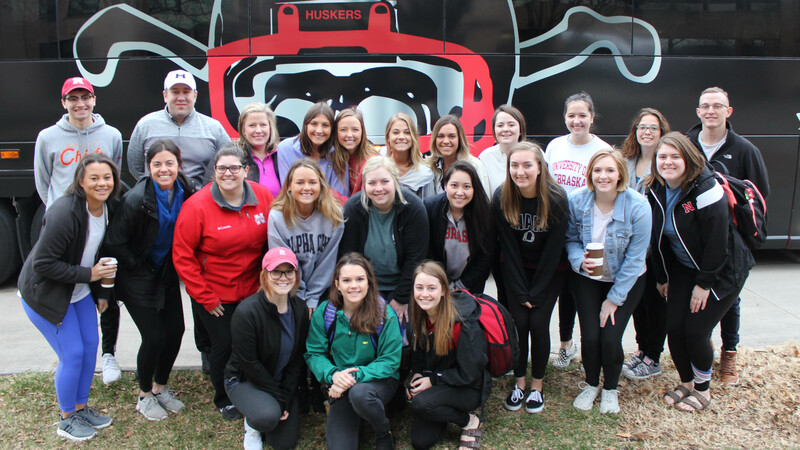 While PGA professionals compete on the links, 24 University of Nebraska–Lincoln students and assistant professor of practice Shannon Rowen will work behind the scenes during the upcoming Masters Tournament at the famed Augusta National Golf Club. The Nebraska contingent will represent the university’s hospitality, restaurant and tourism management program. They are part of the nearly 2,000 hospitality professionals who will provide services to participants, members and patrons during the tournament, April 1-8 in Augusta, Georgia. Dipra Jha, assistant professor of practice in Hospitality, Restaurant and Tourism Management, traveled to India to deliver a Guru Series lecture at Shoolini University on Feb. 12, 2018. 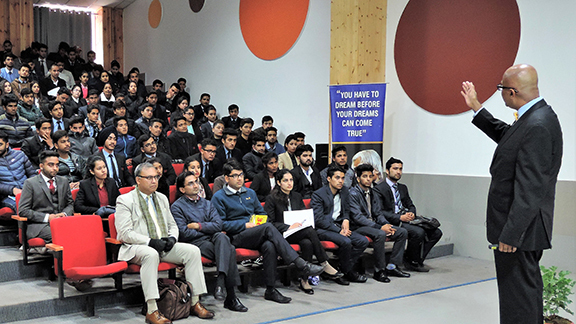 The prestigious lecture series invites experts from around the world to engage with students, faculty and staff at the university’s picturesque campus in Solan, Northern India. Previous Guru Series speakers include Dr. 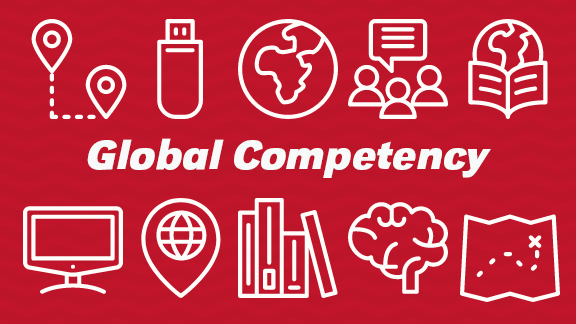 The College of Education and Human Sciences at the University of Nebraska–Lincoln has landed two successful applications in the University of Nebraska’s “Global Perspectives in the Curriculum” funding competition. 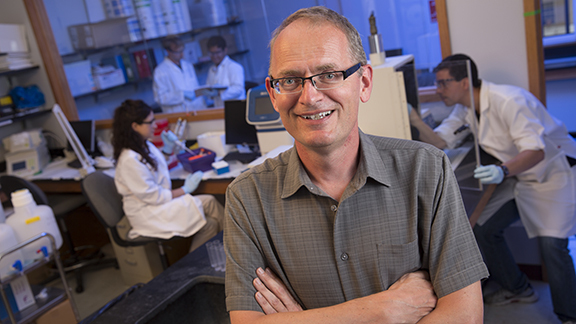 Courses proposed by faculty members in Teaching, Learning and Teacher Education (TLTE) and in Nutrition and Health Sciences (NHS) were selected for $5,000 development grants. The courses were designed, in part, to respond to the college’s “grand challenge” focus on immigrant, migrant and multi-cultural populations.